Akko:What are you doing ? 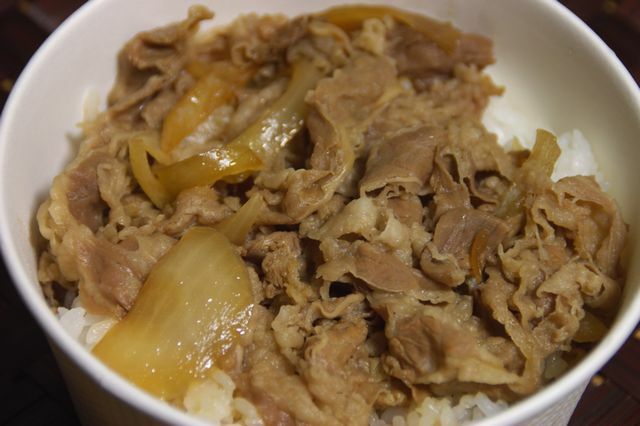 Takeo:I am cooking a beef bowl. Akko:You cook ? That’s amazing. Takeo:I am crazy about cooking lately. Takeo:Do you want some ? Akko:Sure. Regular beef bowl with dip, please.